If you rolled your eyes at my rhyming tagline then you might want to skip this game. 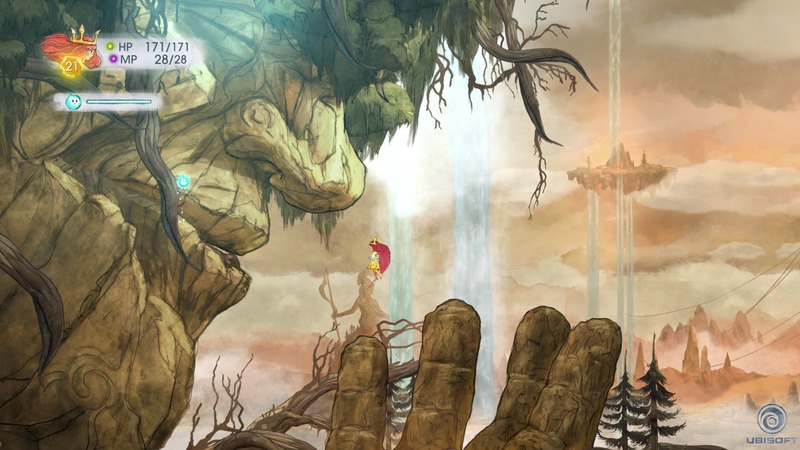 Child of Light is a platforming RPG starring Aurora, a little girl who is lost in a fairy tale land devoid of light. To get home she learns she’ll have to rescue the sun, stars, and moon from the wicked dark queen. This sounds like your typical story until you realize that the reason she’s lost and why it’s dark is because she fell “ill” and went to “sleep.” Is she in a coma? Is she dead? We don’t really know but we know she needs to “follow the light” to get back. While on her adventure she meets companions that will join and help fight the darkness. The story is set up as a child’s fairy tale and they do this by way of rhyming all of the dialogue. This wouldn’t be so bad if the dialogue wasn’t the result of what would happen if Shakespeare’s Hamlet and Little Red Riding Hood had a baby. I love to read and some of my favorite pieces of literature are old poems and stories but I couldn’t deal with the rhyming after about an hour. It felt forced and uncomfortable. 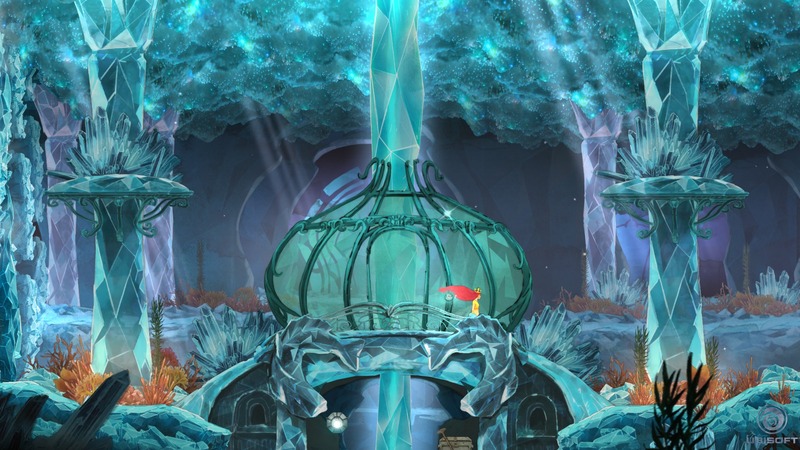 Art and style-wise the game is beautiful. It’s a watercolor illustration style that fits the story and the overall mood. The animations aren’t wonky and are actually pretty graceful. If anything the game is beautiful eye candy which makes up for the weird rhyming that they’ve got going on. 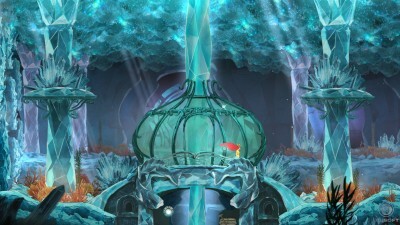 The music is very “light” and goes in line with the overall fairy tale theme. What are the enemies weak against? Which enemies are going to cast first? If I slow down Enemy A, maybe I can cast before it can! 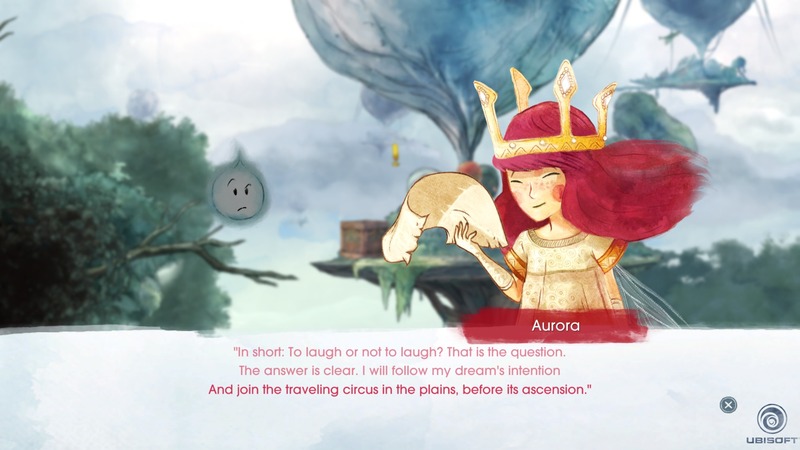 Oh crap, Aurora was interrupted! Damn it, I’m slowing down the wrong enemy. Don’t worry, you’ll get the hang of it after a while. What’s nice about playing on the PS4 is if you have a second controller (or in our case, a Vita) the second player will then take control of Igniculus. It comes in handy exploring the world and even more so during battles. One … or a few less things to worry about. The RPG mechanics are nothing special. It’s another skill tree that costs points which you earn after reaching a level and there is a crafting element to it as well. You pick up side missions from NPCs you talk to during your exploration and also from the companions that join and leave your party. Everyone has a story. The more I played the more I realized the game resembled a JRPG but on a much smaller scale. While there aren’t too many things to rave about the game is fun. I really enjoyed flying through the world battling darkness, exploring hidden areas, and the really simple puzzles. It’s a great little game to keep you busy for a few hours and it’s different enough that it won’t be like anything you’ve played in a while. 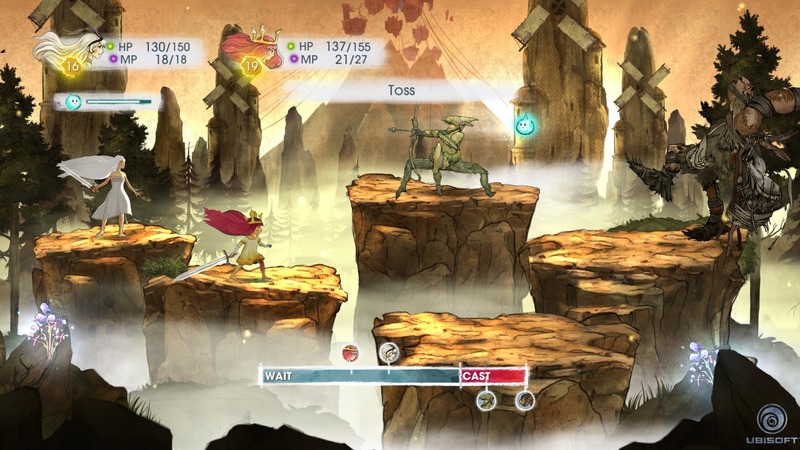 It’s the perfect balance of a light RPG and and a platformer if you can just ignore the story. Seriously, is she dead?